In its most basic sense, your core consists of the muscles in your torso. While core training is sometimes also referred to as ab or abdominal training, this is actually not entirely accurate. Abdominal exercises primarily work the rectus abdominus, external obliques, internal obliques, and transverse abdominus. 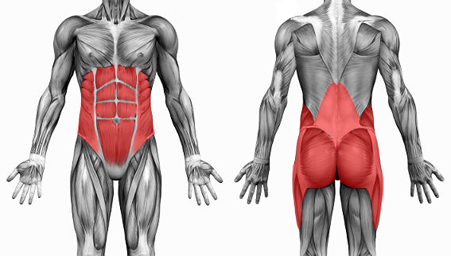 Core work uses the abdominal muscles and also include the multifidus and rotatores stabilizer muscles, the erector spinae (both the length and the lateral portions), the latissimus dorsi, the gluteus maximus, the trapezius, and a handful of others. The “core” refers to the muscles that are involved in holding the torso in position; the abdominal, lower back, and hip muscles involved in positioning the spine and pelvis. Pelvic stability is the ability of the trunk and pelvic muscles to keep the spine and pelvis in its optimal position during sporting activity. 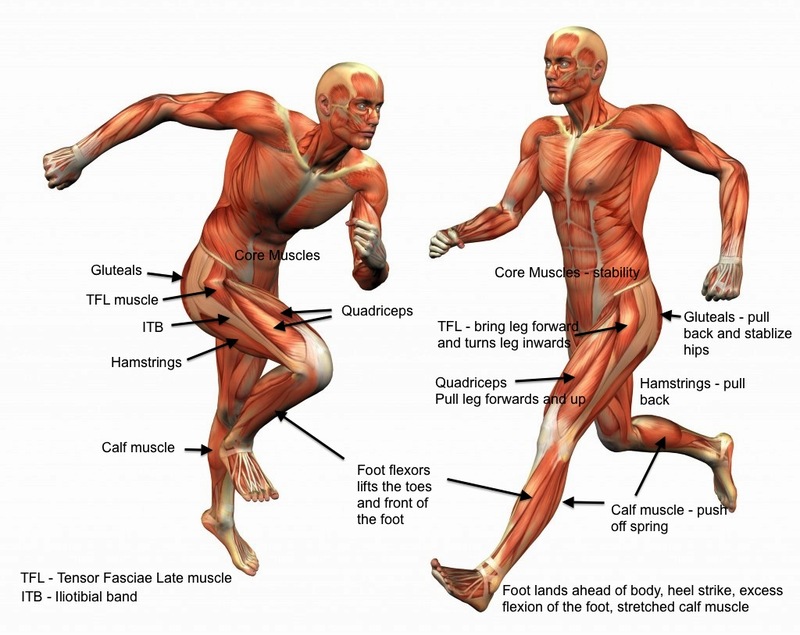 If these structures are kept in an optimal alignment then the muscles and joints of the lower limbs are able to function efficiently (Chat Williams, 2011). The muscles of the lumbo-pelvic hip complex play an important role in coordinating movement. In soccer, core strength not only can impact the athlete’s ability to move fast and change direction quickly, but is vital to the ability to win tackles. Core muscles are important for a soccer player as they serve a base for endurance (1), posture, strength, power, coordination, and reducing likelihood of injury. (1). Endurance and Posture: The erector spinae (which literally means spine stiffener) and the stabilizer muscles determine posture and back strength. Having a strong back can help improve your endurance. After-all, if the athlete’s back is tired, chances are there will be a noticeable change in posture which can reduce mechanical efficiency. Furthermore, improved posture allows the athlete stand taller, allowing a better chance to head high balls. Finally, to a much lesser extent, enhanced posture can improve kicking efficiency, making shots and passes more effective and precise. Strength and Power: Several core muscles assist in generating powerful, explosive movement. Whether it’s for fighting off an opposing player, or making that powerful kick to score, your core muscle play an important role. Coordination: Core muscles aid in coordinating upper and lower body synchronous movement. This is important when volleying balls and even simply making the ball go where the player is intending. Reducing Likelihood of Injury: A strong core is an essential part of overall strength and fitness which has obvious effects on reducing injury. The ilio-psoas muscles act as a messenger for the central nervous system. Other muscles of the core also support the spine which in turn improves spinal regulation of the nervous system. Strength in the hips and lower back can help prevent injuries to leg muscles which are the most predominantly injured in soccer. 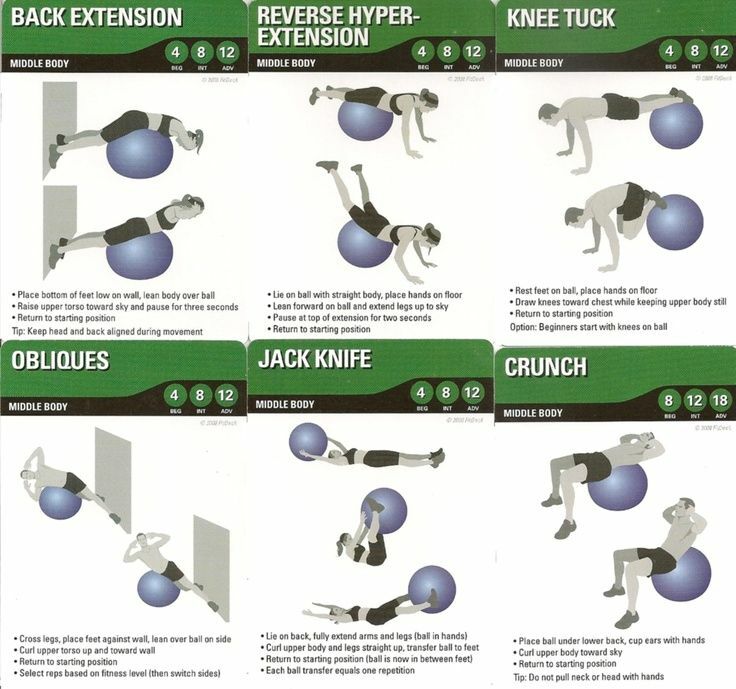 There are several exercises associated with improving core performance (1). Your own body weight can be used to perform sit-ups, crunches, and many different exercises to help core strength and muscular endurance. However, kettlebells, barbells, dumbbells, medicine balls, etc. 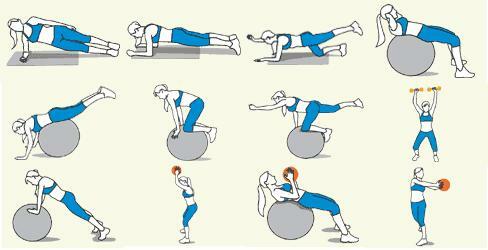 may be used to strengthen the core as well as prepare the core for powerful movements (1). These exercise can be very effective, but should be used in proper context. Training the core to be stronger, more powerful, and more stable is very essential in soccer players and in athletes in general. Traditional crunches may help improve strength in the core, but it takes true planning, programming, and progression to produce a more powerful, stable, and efficient core; a core that is ready to meet the demands placed upon it when facing many different elements on and off the field. Chat Williams, M. J. (2011). Core Training. NSCA’s Performance Training Journal volume 10(5) , 1-29. Romero-Franco, N., Martínez-López, E., Lomas-Vega, R., Hita-Contreras, F., & Martínez-Amat, A. (2012). Effects of Proprioceptive Training Program on Core Stability and Center of Gravity Control in Sprinters. Journal of strenght and conditioning volume 26(8) , 2071–2077. Athletic Lab is the premier Sport Performance and Fitness Training center in North Carolina. Located in Cary, in the heart of the Triangle, we offer a variety of services including Sport Performance training for developmental to elite athletes, and Performance Fitness training including Cary CrossFit.